A fine rain is drizzling here in a silver mist, and it's pure November. One defense is to decorate a bit -- knowing the Big Holidays are racing toward us. I always figure those twinkling lights and glowing candles are intentional efforts to push away short-day-linked depression. And omigosh, the holiday to-do lists and the agony over presents to choose! EGGNOG MURDER contains three novellas (call them short books, or extra-satisfying story lengths). 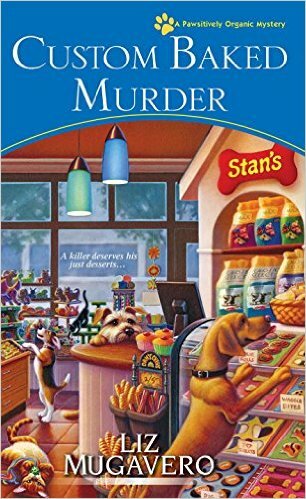 Each is about 100 pages long -- well actually, Leslie Meier's contribution "Eggnog Murder," which starts the volume, takes 130 pages. I was glad to break into the tale, knowing I'd reconnect with small-town reporter Lucy Stone in Tinker's Cove, Maine. Sure enough, at the tiny office of the weekly newspaper where Lucy works, a gift-wrapped bottle of eggnog turns up, just in time for the local business open house. Meier comes up with a fascinating way to poison a drink, and a lively set of red herrings -- or do I mean red Santa suits? 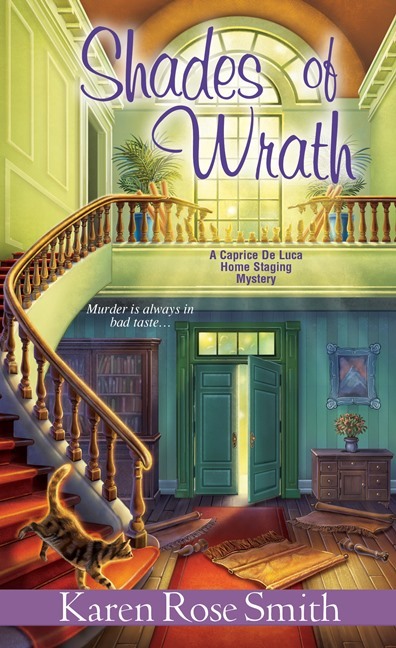 Every Lucy Stone mystery wraps up some family issues and affection, too, perfect reading to escape those to-do lists for a couple of hours. You know how your imagination can run away with you when you're reading a good mystery ... well, that's half the point, isn't it? You're trying to figure out the crime and the criminal just a few pages before the sleuth pulls it all together (yes, I really am competitive like that). 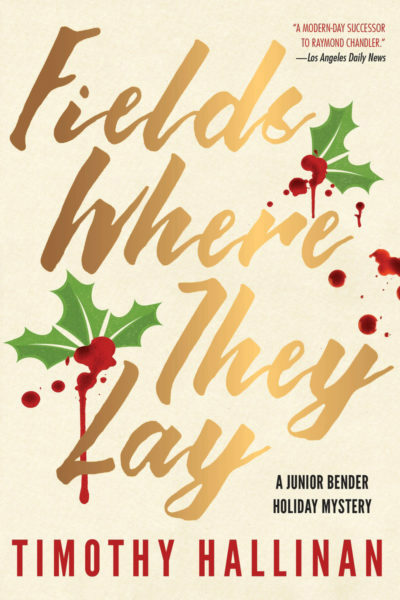 As I slid merrily into the second novella, Lee Hollis's "Death by Eggnog," I suddenly pictured the three authors daring each other to tackle this theme, confident that they would diverge, and at the same time just as worried as the rest of us over whether their holiday offerings would come out right. And different enough! "Nogged Off" from Barbara Ross provides a nifty interlude and set of family revelations for financial-wizard-come-back-to-Maine Julia Snowden. Fans of Ross's "traditional" and highly enjoyable sleuth series know that Julia's been torn over whether to cut all the ties to her former high-income, high-prestige urban job. At the start of "Nogged Off" she's finally closing down her city apartment -- and in the process, taking home to Maine with her a forlorn waif who'd been subletting the place. Is young Imogen jinxed, with all the bad things happening to her? And if she's a target instead, is Julia bringing something wicked with her, back home for the holidays? 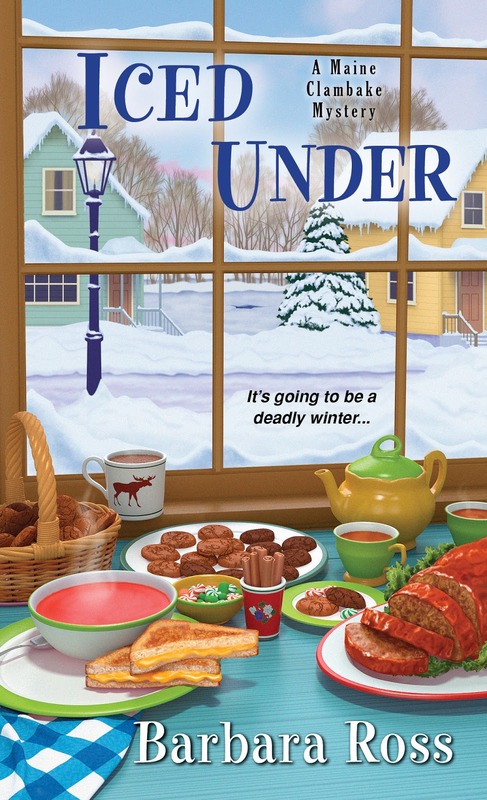 Imogen's version of eggnog already accidentally poisoned a bunch of people in the city -- what could happen in Busman's Harbor, Maine, though, with one extra guest for the preparations for Christmas? 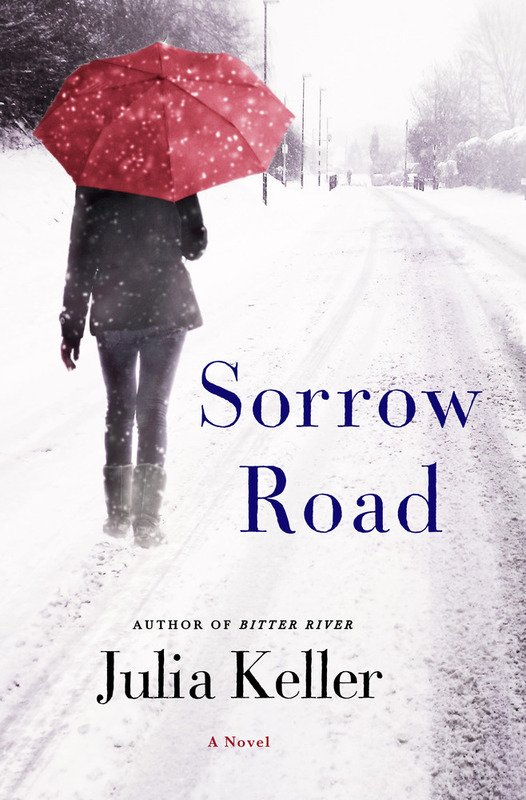 I couldn't stop reading this page-turner that pits family stresses and unexpected crime against the strengths that Julia, her boyfriend, and her mom, sister, and neighbors have already demonstrated. 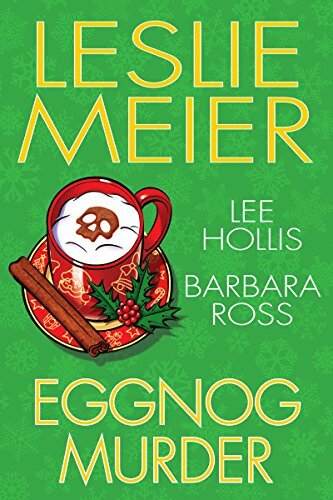 You could just pick up one copy of EGGNOG MURDER and enjoy reading it yourself very carefully, so you can then wrap it as a gift for a bestie. But that would mean missing out on the pleasure of savoring this great distraction during the weeks to come, because you'd be rushing to finish the book. Besides, the recipes are worth keeping -- I plan to use the "Pecan Puffs" one, in happy memory of the year our neighborhood cookie swap accidentally included seven versions of nut balls. Might as well enjoy them, if they're only cooked up once a year! 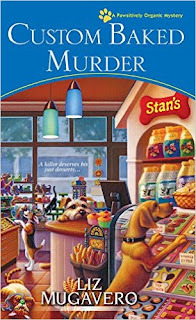 So, all things considered, I recommend picking up two copies of EGGNOG MURDER. Unless, of course, you see the need for three. Pass me that gift list again, would you? Just about a week ago, on October 14, Ed Gorman died at the age of almost 75. 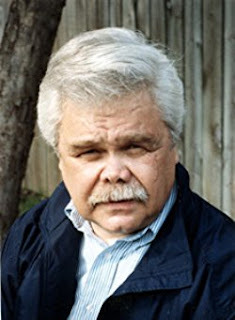 More than anything else, Gorman and his career represented the strength of mysteries as "genre" fiction: lively, entertaining, original, but always a form of suspense and disguise, with a dark edge. We don't have any books signed by Ed Gorman right now at Kingdom Books -- but in a fit of nostalgia, we dug through the downstairs paperback collection and found these four. Dave says they should be given away ... so if you've always wanted to read some of Ed's books, or the urge is now striking you, be the first person to get in touch, ready to PayPal or send a good check for the postage (say, $5) and we'll send you this short stack. It's the best way to honor a writer: Read his books. And meanwhile, here's a link to his blog. There are many novels that take their inspiration from A. Conan Doyle's Sherlock Holmes stories, filling literally shelves of the mystery collection here at Kingdom Books. They range from Nicholas Meyer's The Seven Percent Solution to Michael Chabon's The Final Solution, and to the marvelous series from Laurie R. King that follows Holmes into his "golden years" through the eyes and sharp mind of his young wife Mary Russell. 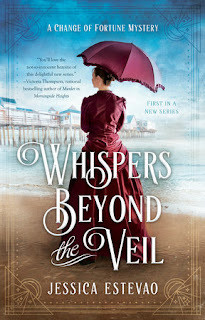 Now Sherry Thomas, noted author of historical romances, provides a startling new version of Holmes as detective -- one that, like a Shakespearean play, inverts the gender roles, while at the same time weaving in our very modern obsession with the inner world of the finest minds of an era. 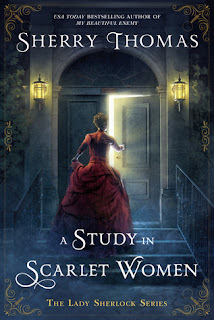 And of course, because it's from Thomas's pen, A STUDY IN SCARLET WOMEN (a play on the original detective's tale "A Study in Scarlet") is lush with possible romance and alluring sensuality. But let's begin at the beginning, with a young woman named Charlotte Holmes, who lacks the emotions that her sister Olivia fully experiences, but who has intense and amazing gifts of observation and analysis. Trapped in the highly gendered and class-conscious world of Victorian England, Charlotte contrives an audacious way to escape her parents' control -- without fully understanding how hard life can be for a "ruined" young society woman untrained, undereducated, jobless, and on her own (by choice). 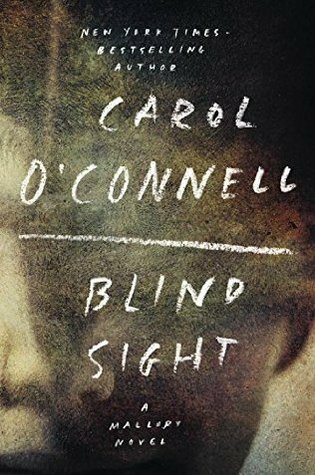 I'm an ardent fan of the original Holmes narratives, and I also appreciate a good twist in the retelling, as in this adept female view of detection. Thomas's careful structure to provide a base for not just one book but an entire series -- the Lady Sherlock Series -- slows this first book in its first half. 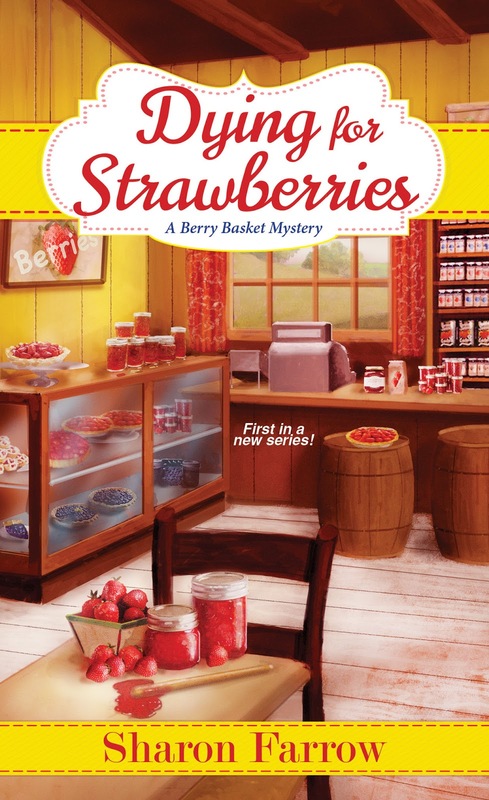 But by the midpoint, the suspense is riveting, the romance pulse-pounding, and the twists of the great detective's origin are pushing the plot. I could hardly wait to discover how Thomas would introduce "Watson" into this damsel-driven structure ... and when I realize the arrival of morphed versions of Mycroft Holmes and the evil mastermind Moriarty, I laughed in delight. "I learned early in life not to practice it in public. Or in private, for that matter -- people I know well are as easily disconcerted by it." "Discernment, I suppose." Charlotte took a deep breath. "I can tell more about you, for instance, than you would want me to know." After savoring Thomas's clever twists of the original story -- and realizing how, as A. Conan Doyle did, she's going to explain the difference between the new fiction and its predecessor -- I'm hooked. I'll be looking for the next in the series, as soon as possible, and chuckling for the rest of the evening. The book released today, with the warm blessing of fellow author Deanna Raybourn, from Berkley Books. There are seasons when shorter crime fiction is a perfect fit for the days and evenings. 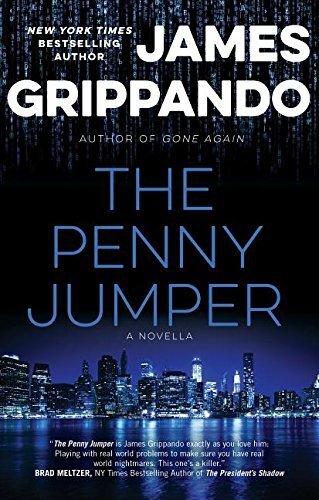 I was glad to discover James Grippando's new work, THE PENNY JUMPER. About 140 pages of the book is a novella, "The Penny Jumper," a provocative and highly suspenseful tale of how a brilliant software developer finds her life highjacked -- and her freedom threatened. Ainsley Grace tuned her coding skills in astronomy, following her father's passion for exploring the night sky through giant telescopes and their programming. But when her programming tackled the fine units of time difference that show up in the light from distant galaxies, it also had applications to a form of stock-market trading called penny jumping. What happens once Ainsley solves the market application is downright terrifying, and totally convincing. This one's a real nail-biter. Two stories and a reflection by the author on his long-time pet follow the novella -- all enjoyable, and giving good evidence for how a notion or puzzle becomes transformed into a good piece of writing. 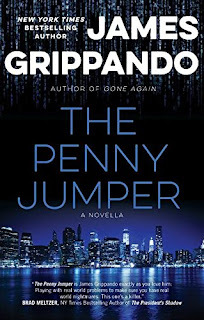 The book just released in hardcover from Nightstand Press, and Grippando is a former trial lawyer turned best-selling author (The Pardon was his debut novel in 1994). 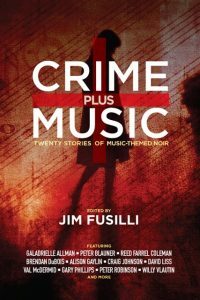 CRIME PLUS MUSIC, edited and contributed to by crime fiction author Jim Fusilli, ties together 20 stories where music takes a starring role in vicious attacks or criminals. Jazz, rock, blues ... the stories not only twist suspense and puzzle solving, but they also showcase their authors' musical passions, some of which are already familiar to their readers -- like that of Craig Johnson of Longmire note. I especially liked Peter Blauner's clever contribution as the first story of the group, "The Last Temptation of Frankie Lymon." 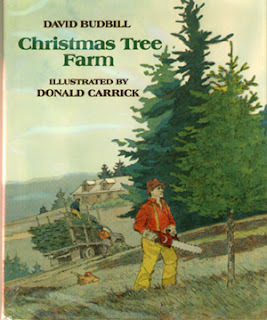 It was also enticing to search for the pieces by Reed Farrel Coleman, Val McDermid, Peter Robinson, David Corbett, David Liss, even Zoë Sharp, as well as authors whose writing isn't as familiar to me. This collection comes from Three Rooms Press, and could make a dandy Halloween hostess gift (to yourself or your host). As Fusilli writes in his introduction, "You are warned: Songs familiar and not so will be brought to mind, yes, but there will be blood." Both of these are good candidates for the shelf of short crime fiction, as well as for completing a collection of works of any of the outstanding authors involved. 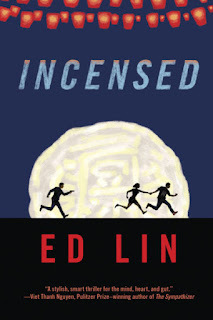 Native New Yorker Ed Lin is of both Taiwanese and Chinese descent. His first series of crime novels was set in Manhattan, and it was good. But the newest series, starting with Ghost Month and now INCENSED, is set in Taiwan -- and it's even better. Jing-nan has his own restaurant stall in Taipei's Night Market, and with his sense of excellent cuisine (even if simple in concept) and dramatic presentation, he's making an excellent living for himself and his kitchen partners. And he's entirely part of this local culture, even if he does pull on an alter ego he calls "Johnny" when he's doing American-style pandering to customers. So as the Mid-Autumn Festival arrives, Jing-nan is just as committed to reconnecting with family and prioritizing those relationships as anyone else around him, even though he has a bit of time in America in his own past. When his uncle Big Eye, a criminal sort, seeks his help with 16-year-old Mei-ling, a rebellious daughter (and Jing-nan's cousin), he can't really say no ... and Big Eye has ways to make sure of that! But Mei-ling's got her own agenda, and when Jing-nan thinks he's got her tidily installed in a job and apartment, he's kidding himself. Soon he's involved in a series of crime-related capers that reveal to him more of his uncle's way of life (and family debts) than he ever wanted to know about. When my cousin excused herself "to go piss," I told Nancy about my gangster uncle, the gambling den in the sugarcane field, the shootout and the crazy temple. She told me that she had joined a protest group that was going to storm a government building and occupy the space. We were each surprised the other wasn't. When we hit the street the full weight of my exhaustion fell upon me. I staggered to the MRT subway system while Nancy escorted Mei-ling back to her apartment. From there Nancy would walk south through Da'an Park to the university and go on plotting revolution. As social revolution, teen rebellion, and gangster craziness spin together, Jing-nan's life takes a risky series of racing jumps and twists. It's all fun, and a great way to get a taste of Taiwan from the inside. 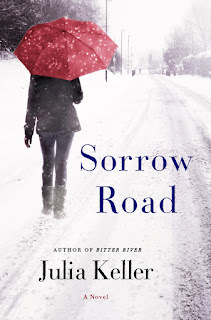 My one hang-up about the book was in terms of Lin's choice to write the narrative as if it were being translated -- slightly stilted with a choppy feel to it. I'm betting this American-born author's spoken English is a lot more fluid, and that this is a literary device to pull the story out of New York and over to Taiwan. It works -- but it's an acquired taste, and you may need to bear with it for a while, until the plot thickens and the pages turn on their own. Fun reading, and a great journey into international mystery -- from Soho Crime, of course! 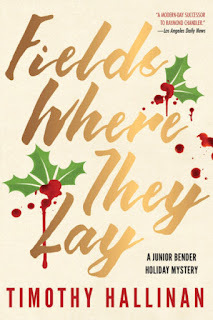 Last year around this time, Stuart Neville's Those We Left Behind brought us Detective Chief Inspector (DCI) Serena Flanagan on the Belfast police force, an investigator whose personal commitment to determining the truth of a crime takes her into "contagious" contact with evil that drains from a generation of malice. In SO SAY THE FALLEN (Soho Press), Flanagan's struggling to find her way out of an explosive episode of posttraumatic stress disorder, PTSD. It looks like she's going to lose at least her marriage and probably her children as she clings to the structure of work to hold herself together. Work, and overwork. Who hasn't been there, done that -- or at least witnessed it? But when work involves murderers and other malicious narcissists -- blackmailers, cheaters, liars -- embracing it is dangerous to the soul. Flanagan's son doesn't want her to put him to bed or even read him a story. Her daughter's even more blunt: "You're never here." She knows her husband is almost ready to leave. With a crisis like that at home, she ought to let go of the death that her supervisor wants declared a sympathetic suicide, the slide into death-by-pills of a gravely injured and maimed man. But the case clings to her, with those small indications that pull a good detective into compulsion to investigate. Along the way, torn in spirit and emotion, Flanagan confides something of her own despair to the local church rector, the Reverend Peter McKay. And here is where Neville's powerful ability to explore what haunts us becomes vivid and compelling -- not with the paranormal strands of his earlier series, but in heartache and despair and the struggle for something to believe in. In Flanagan's confession, the pain of life along the harsh edge of community spills out in, for her, "every rotten thing that festered in her soul." "If your job's making you miserable, then quit," he said. "Simple, isn't it?" Flanagan shook her head, fumbling for an answer. "No, it's ... it's not ..."
He smiled that kind smile of his, the one that warmed his eyes. "No, it's not that simple, is it? We have this in common, you know. Neither of us has a nine-to-five job we can leave behind at the end of the day. We don't work in some office, watching the clock, waiting for home time. You don't stop being a police officer when you go home any more than I stop being a priest. ... Then you are your job, your job is you. Same for me." "And I am my family. I need them, even if they don't need me." His fingers tightened on her wrist, a small pressure. "Then the answer lies somewhere between the other two. It's like two sides of an arch. One can't stand without the other." "Then what do I do?" she asked, another sob catching in her throat. "What you came here for," McKay said. "You pray." Given that support, it's no surprise that Flanagan also binds herself to the catastrophe that unfolds for this kind, if somewhat naive, man. But Neville takes her through brutal confrontations with the force of psychopathic evil, before Flanagan has a chance to try to make things right. 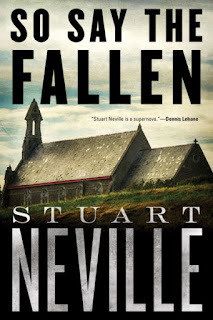 I am still asking myself -- because I found Neville's "Ghosts of Belfast" series so compelling -- whether this twist toward Flanagan in the Belfast author's newer series is as indelibly marked by place as the earlier books. The more I ponder SO SAY THE FALLEN, the more I think Neville is indeed framing a narrative of loss and potential redemption that belongs in this war-wounded landscape. And consider me committed to this author crime novels, here and in the future, as a way of examining the important question of what makes our lives (and deaths) not only human, but worth the effort. It's not easy for American readers to keep up with the top-notch British crime fiction, when the American authors are the ones getting the big full-page ads and the point-of-purchase bookshop displays. Thanks to a partnership between UK publisher Quercus and pub giant Houghton Mifflin Harcourt (HMH), though, two strong series from Elly Griffiths are now available here. 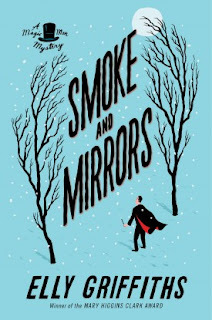 And her newest title, SMOKE AND MIRRORS, arrives in the costume of a traditional British murder mystery, with perservering CID officers and a snow-covered seaside resort town. But with deft story twists and an appeal to the dark side of classic fairy tales, Griffiths quickly takes her detectives and the pantomime cast for "Alladin" in 1951 Brighton into terrain that's deceptive, wicked, and downright eerie. All of which could be expected if you're already reading this "Magic Men Mystery" series featuring professional magician and brilliant illusionist Max Mephisto. 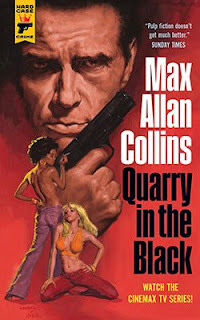 Max has a deep connection with Detective Inspector Edgar Stephens, who is leading the search for a pair of vanished children: A decade earlier a British defense effort against Hitler's forces involved Max and Edgar and a handful of others -- the so-called Magic Men, established by the military -- in a secret operation to confuse any invasion of England's coast by faking the presence of strong defenses there. The trust forged in the operation allows Max to work sometimes with Edgar, a big plus for the CID because Max grasps how the illusion of a successful crime can be built. And busted. Miss Young did not protest that Annie preferred sciences. Instead, to Emma's surprise, she drew out a folder from a pile on her desk. Is Annie, one of the missing children, actually manipulating her own disappearance? If not, has she somehow threatened an adult who is punishing her and the community? And what does all this have to do with another child's stage-related death from before both world wars, in 1912? It takes a lot of courage by several people, some in the police force, some performers, some children, to resolve the case of the missing children. And there are more at risk. Griffiths ties together the damages of wartime Britain, the failings of damaged minds, and the dangers of being an astute child, into a wintry and fast-moving novel of intrigue and suspense. Max Mephisto's sleight of hand and mind will tilt Edgar's insight ... but most important will be the way the investigators follow up even the smallest detail, as the snow buries clues and pushes the pace in Brighton and on Max's stage. SMOKE AND MIRRORS is one of the best new crime novels for this autumn. No need to read The Zig Zag Girl (its predecessor) before this one, but you may want to get both at once, for a highly satisfying read. Every now and then, we realize how far we've strayed from our mission of gathering the best (and mostly signed) mysteries to present here. 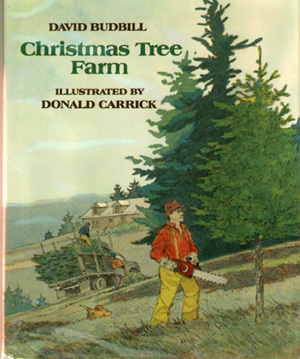 Today was one of those days, as I prowled through the section of "children's books we couldn't resist," and recalled when the authors signed each one. While I was looking at David's book, I also noticed that we still have eleven (yes, eleven!) books signed by the amazing Katherine Paterson. 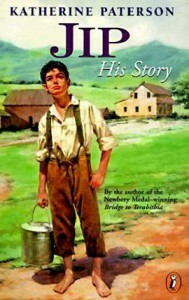 Although we no longer have her most noted title, Bridge to Terabithia, we have quite a few others -- the list is here. I hope some of them will move to "good homes" as holiday gifts. In fact, if you decide to order one or more, mention this blog post and we'll take the shipping cost down to a penny, just for the fun of seeing these travel outward. Ten of them are here; the eleventh, edited by Amy Ehrlich and also signed by Ehrlich and by Reeve Lindbergh, is here. And of course, I ended up going through our entire "young adult" collection while I was sitting on the floor by the shelves. Most are mysteries -- a few are just darned good writing, like The Impossible Knife of Memory by Laurie Halse Anderson that I sort of wish my grandson were old enough to read, because it captured me so intensely. (It isn't signed -- but it's here.) Or the signed copy of softcover copy of Jeanne Birdsall's The Penderwicks that I was thrilled to find in a bookshop a couple of days after I'd missed seeing her in person there. But there are also good dark mysteries and suspense by Joelle Charbonneau and many others (even a delightful book by Robert B. Parker). As you can tell, we range quite a distance when we're seeking an author's signature! And although we remind each other that our mission is mysteries, a well-written story always gets our attention. Well, that's enough "chitchat" -- I'm going to go read another exciting book. 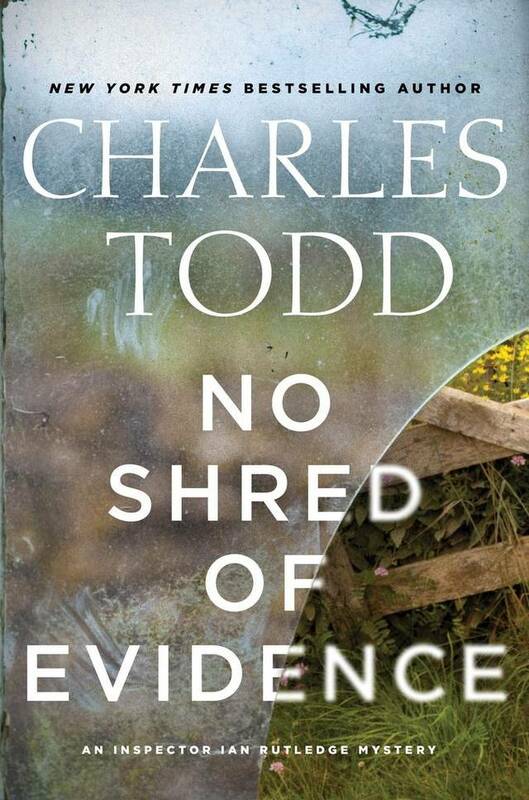 This morning's New York Times Book Review section includes mention by Marilyn Stasio of the newest Bess Crawford mystery by mother-and-son writing team Charles Todd, In the Shattered Tree (click here for Stasio review). 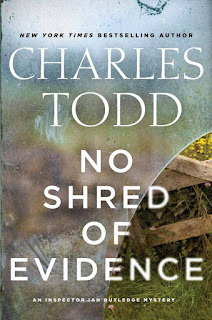 I think I'm going to have to read it soon -- I'm usually pretty casual about getting to the Charles Todd books because they are so well publicized that the Kingdom Books review is just a bit of kindling in the usual warm blaze of appreciation. I liked very much the steady progress of police procedure, personal commitment, and dogged pursuit of "means, motive, opportunity" in this book, and the integrity that Rutledge continues to display. As an ardent fan of the situation Todd has created, where Rutledge's war-induced "shell shock" has created the voice of his deceased friend Hamish in his mind, I would have liked a bit more of Hamish's presence and voice here. Such hunger may yet drive me back to re-read the entire series in sequence. What a satisfying thought for facing the colder seasons ahead! The last week of September was filled with newly released books, and I'm scrambling to catch up! 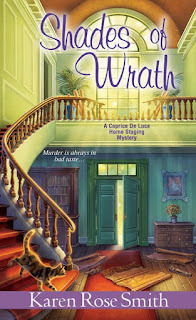 Here are three enjoyable and entertaining "cozy" mysteries from Kensington to stack at the bedside table or beside an armchair and enjoy in the autumn evenings ahead. 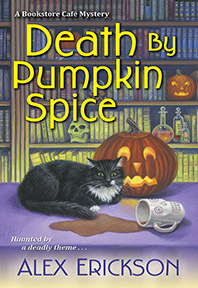 Alex Erickson (a pen name for Eric S. Moore) was new to me this autumn, but his "Bookstore Café series is in its third title with DEATH BY PUMPKIN SPICE. Forget the bookstore aspect, and there's not much of the café experience involved, either -- business owner Krissy Hancock, insecure about her working-class background at a very fancy upscale Halloween costume party she's invited to, finds herself actively investigating the murder of someone costumed like Marilyn Monroe while past boyfriend Officer Paul Dalton and party date William Foster take up space in her thinking and her blushing body. The mystery resolves triumphantly, but the tangle of romance only gets more complicated. Light and frothy reading, good to escape raking the leaves if you like! 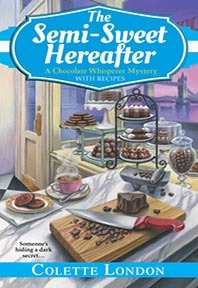 Vickie Fee (apparently not a pen name!) 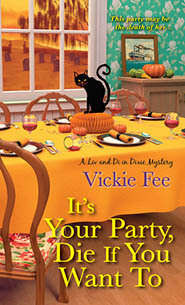 moves into the second in her "Liv and Di in Dixie" mystery series with party planner Liv McKay in Dixie, Tennessee, for IT'S YOUR PARTY, DIE IF YOU WANT TO. Liv's party planning extends to a riverboat gambling engagement party, preceded by a businesswomen's retreat where a returned-to-town ghost hunter and her film crew arrive along with a corpse. Motives abound, and red herrings and many twists carry Liv toward a Southern-style finale. You'll need to stick with the story to follow the plot, which is complicated; the gals' support network is cute, and the settings are charming. Party-planning tips conclude the book. All of these have sequels in the works, so if you get hooked by a character, better settle in for the long run with Kensington's abundant lists of books to come. Looking for more mystery reviews, from cozy to very dark? Browse the Kingdom Books mysteries review blog here. 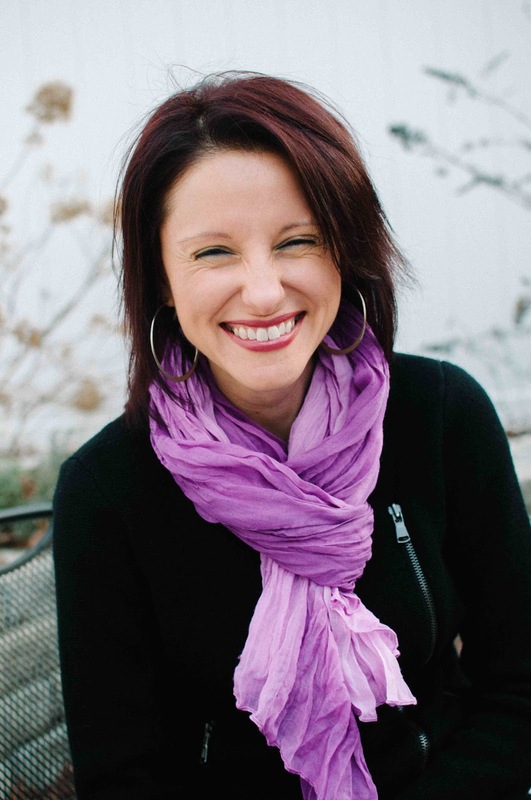 Berkeley Prime Crime, a Penguin Random House imprint, brought out the first "Change of Fortune" mystery from Jessica Estevao -- aka Jessie Crockett -- a couple of weeks ago. Set in Maine, WHISPERS BEYOND THE VEIL takes carnival con's daughter Ruby Proulx out of her Canadian father's circle and into the family she's never known: Her mother's sister Honoria owns a very specialized hotel on the coast of Maine, and to Ruby's surprise, she's warmly welcomed back to this embrace she's never known. Estavao's first in the series isn't Crocker's first, and the hand of an experienced author means this series arrives tight, well plotted, and cleverly paced from the get-go. A traditional mystery in the Agatha Christie vein, with plenty of suspicious characters and motives, the 1898 story is spiced with psychic and criminal possibilities. Aunt Honoria's unusual resort is the Hotel Belden and it caters specifically to those seeking wisdom from beyond -- that is, to Spiritualists (quite fashionable at the time!). Ruby's arrival turns out to be a blessing in every way, as she steps up to help her aunt with the resort's opening week. When the expected staff member who's a medium doesn't turn up -- and many of the guests have booked especially to meet with a medium! -- Ruby and her inner "voice" offer to fill the gap. At first Ruby expects to con the clients, the way her father did in the snake-oil sales that supported the two of them while Ruby grew up. She can "read" a person adeptly, especially with the aid of her pack of Tarot cards (which in themselves turn out to be significant). But the "voice" has better plans for Ruby than that. As she wrestles with a refreshed sense of honor and integrity, she also must sort out the deadly peril accumulating at the hotel, protect herself from exposure as a fraud, and figure out whether, in fact, she has a "gift" or a terrible curse over her life. 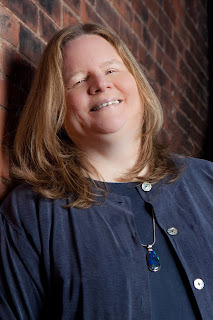 I enjoyed every page, and can't wait for the next in the series from this adept New England author, who blogs at the Wicked Cozy Authors site. About two weeks ago, Syndicate Books -- distributed by crime fiction marvel Soho Press -- released the first of a massive seven-volume set that will offer the complete works of Margaret Millar. And for many a mystery fan, the most pressing mystery is: Who was Margaret Millar, and why don't we know her books already? Think back to when you began reading the classic mystery authors. I know who I read: Agatha Christie, Rex Stout, Ellery Queen, and my mother's copies of Earle Stanley Gardiner and John Dickson Carr. Then Mignon Eberhart, John D. MacDonald, Graham Greene, even Ngaio Marsh. These have all been named Grand Master by the Mystery Writers of America. The award began in 1955 with Agatha Christie; many others named since then have written for so long that I think of them as my own contemporaries instead of my mother's -- John Le Carré, Tony Hillerman, Donald E. Westlake, Ruth Rendell, P. D. James. But I missed a few, and I think it's no accident that Margaret Millar's work was among them. 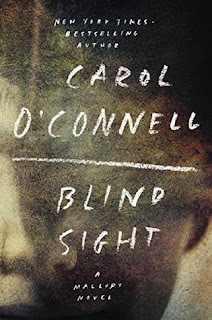 Deeply disturbing, psychologically intense, probing, and really truly creepy in their pace and suspense, her books -- like Vanish in an Instant and Beast in View -- are books I could not have absorbed well during the anxious and hectic college years and then childrearing. Now, however, their power and finely honed craft make an immediate impression. It's not easy to find Millar's books in bookstores; even in the online sources of used books, they're not plentiful. So it's a huge gift to find the first collected volume of COLLECTED MILLAR, subtitled The Master at Her Zenith, as a freshly issued oversized paperback (9 by 6 inches, and 1.5 inches thick, 533 pages). Unlike the "old" softcovers familiar to collectors, this one is sturdy and well bound, to rest comfortably (if heavily) in the hands. And what a source! Not only has this central volume of five of Millar's novels been released -- the remaining six are scheduled to follow briskly, this month for Legendary Novels of Suspense and the others in 2017: in January, March, May, June, and July (the last volume is her memoir and nature writing). Cordwick picked up the wrinkled bloodstained trench coat, quite naturally and casually, as if it was an ordinary piece of clothing. There was no indication, in his movements or expression, of his extreme distaste for the sight of blood, the feelings it gave him, of loss, futility, vulnerability. The blood on this worn and dirty coat had been the end of a man and might be the end of another. He said calmly, "Do you, for instance, recognize this coat, Mrs. Hearst?" "I -- don't know.. It's so wrinkled. I can't ... what are those marks?" She drew in her breath suddenly, gaspingly, like an exhausted swimmer. Beyond Hitchcock, the rich literary writing also reminds me of Henning Mankell's work, and the pained examination of emotions might well be a response to those who accuse crime fiction of wanton violence. In Millar's writing, every wound, every death, is shockingly real. 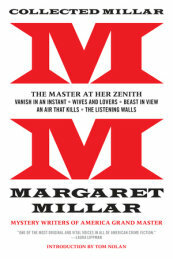 Feminist, Grand Master, sustained powerful author, Millar merits more reading today. I'm glad to see this series in print, and recommend it for many a collection of strong crime fiction.